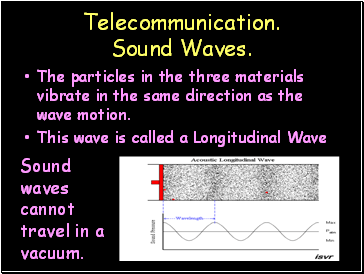 Sound energy travels in the form of waves. 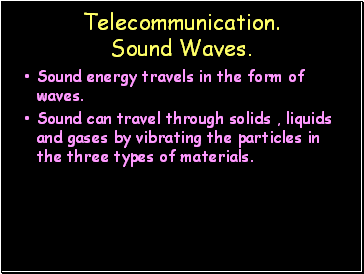 Sound can travel through solids , liquids and gases by vibrating the particles in the three types of materials. The particles in the three materials vibrate in the same direction as the wave motion. 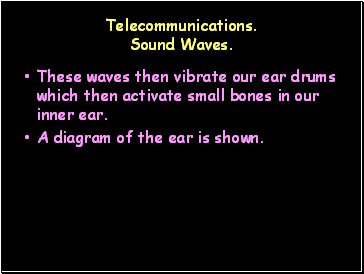 These waves then vibrate our ear drums which then activate small bones in our inner ear. 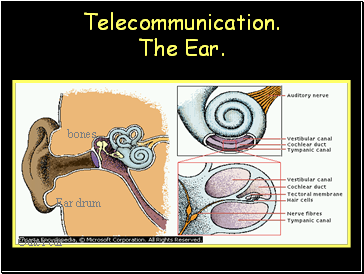 A diagram of the ear is shown. Telecommunication. The difference between sound and light waves. Sound waves travel very much slower than light waves. This can be seen by observing a thunder and lightning storm. The light reaches us quickly but the sound from the thunder comes later. 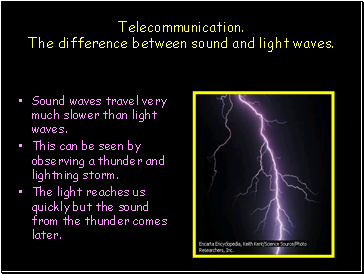 Telecommunication The speed of sound. 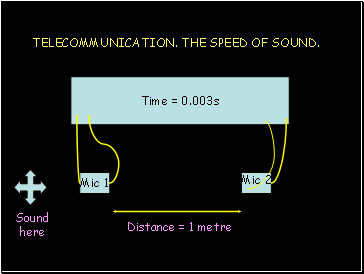 The speed of sound can be measured by by using two microphones and an electronic timer. When the sound reaches the first mic, the timer starts.When the sound reaches the second mic, the timer stops. 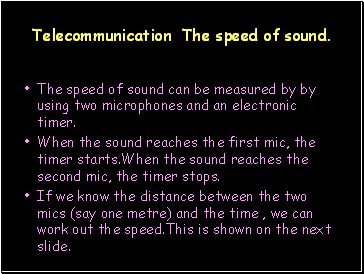 If we know the distance between the two mics (say one metre) and the time , we can work out the speed.This is shown on the next slide. TELECOMMUNICATION. THE SPEED OF SOUND. 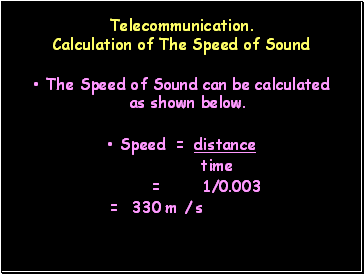 The Speed of Sound can be calculated as shown below. 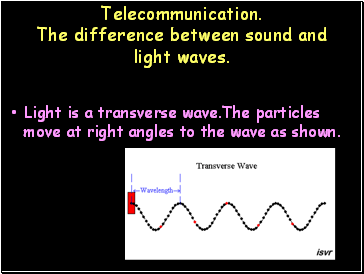 Light is a transverse wave.The particles move at right angles to the wave as shown.